You know that feeling when you have a brand new manipulative to work with and you just want to do all.the.things? We just got a brand new set of snap cubes a couple weeks ago and we have been using them for all sorts of activities. My kids have been doing independent building with them along with our new snap cube alphabet mats. 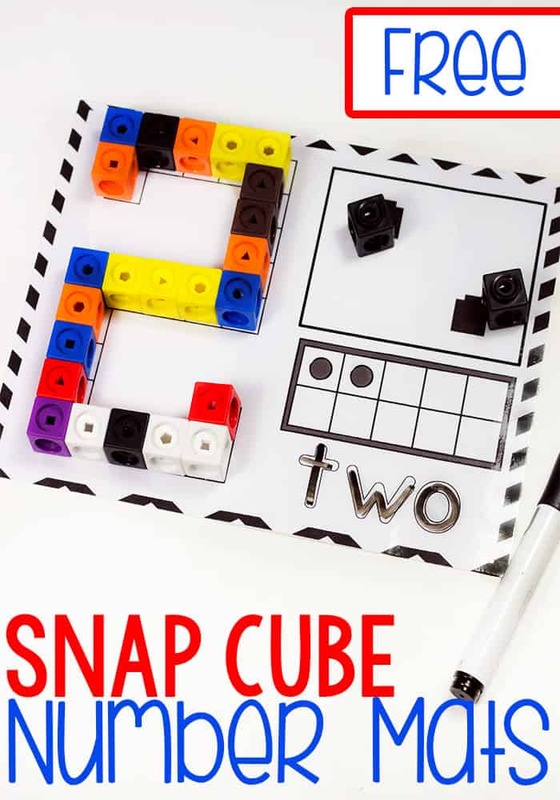 Today, I have our newest snap cube activity to share with you! 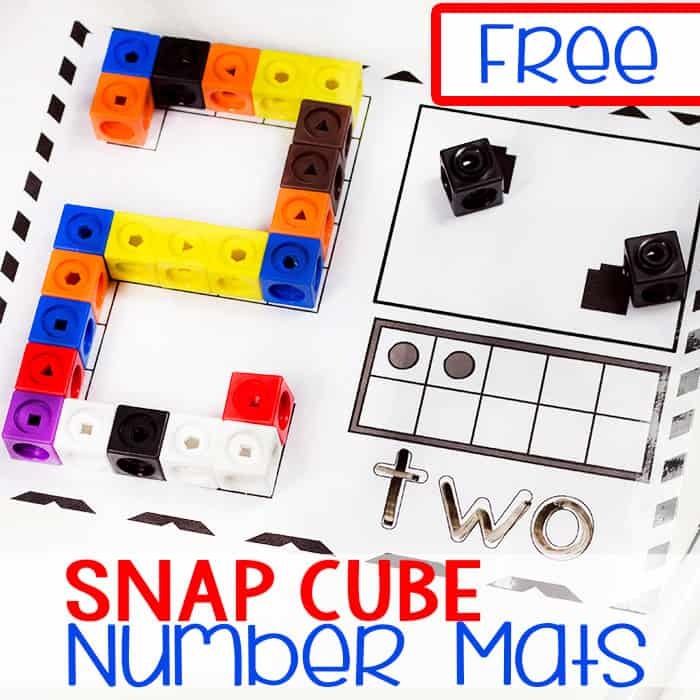 These snap cube number mats are perfect for kindergarteners to work on number recognition while building fine-motor skills creating the numbers. 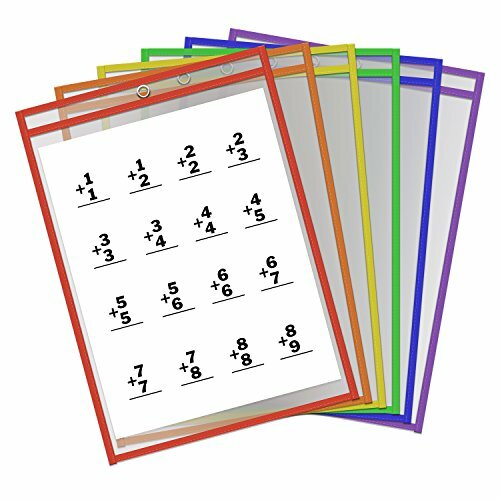 To prepare the snap cube number mats: Simply print and laminate. 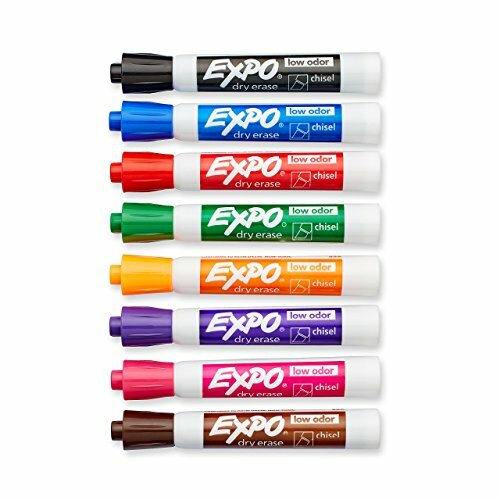 If you don’t want to laminate, I suggest putting the mats into some dry erase pockets so that the kids can use them many times and you don’t have to worry about printing extra copies. To use the snap cube number mats: Have your kids create the number on each mat using their snap cubes. This is a great problem solving opportunity as the kids learn how to create corners and shape each number. It can be a little challenging at first, but they usually get the hang of it pretty quick. One thing we’ve done is provide a lot of free time to play with the snap cubes, so that the kids can learn how to create different shapes and navigate corners with the cubes since they can only be inserted in one direction. Along with the snap cubes, each mat provides space to practice writing the number and counting each number with individual blocks and ten-frames. Giving the kids many ways to interact with the numbers helps them make concrete connections with the numerals. Don’t have snap cubes? Be sure to grab some snap cubes here or use our simple play dough number mats instead! 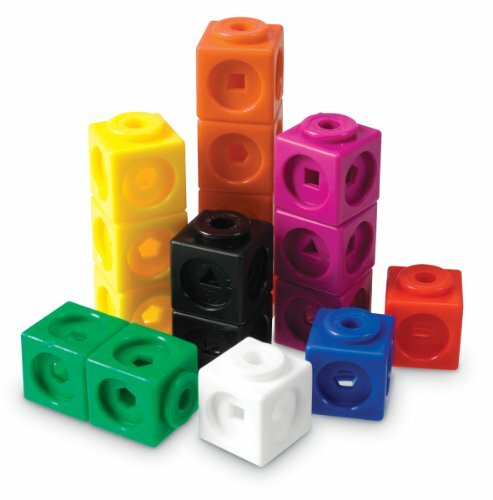 I’d really like to purchase snap cube number mats for numbers beyond 10…do you have a set? I don’t currently have beyond 10, but it is on my to-do list!